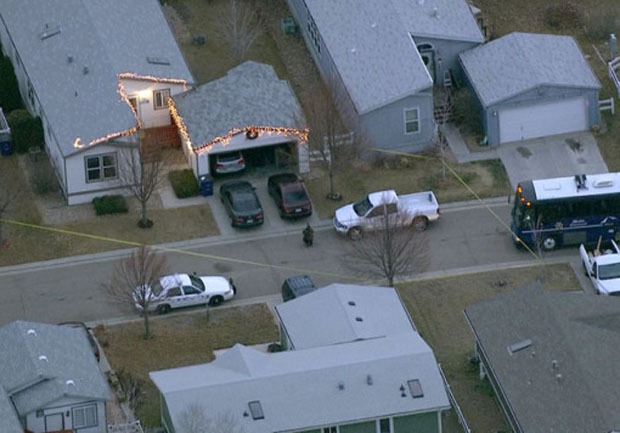 (AP) LONGMONT, Colo. -- Colorado authorities say at least four people have been found dead in an apparent murder-suicide near Longmont in unincorporated Weld County. According to deputies, three of the victims were adults. Their exact ages are unknown at this time. Police say a female caller got on the phone with 911 and reported the address. The dispatcher told police he then heard "No, no, no" and heard gunshots in the background of the call. Later, a man got on the phone and threatened to kill himself. The dispatcher then heard more gunshots. It is unknown at this time whether the deceased persons lived at the location of the shooting. According to the Weld County Sheriff's Office, the four people were found in a subdivision just east of Longmont. Police say it happened around 4 a.m.
A news conference is planned later Tuesday.